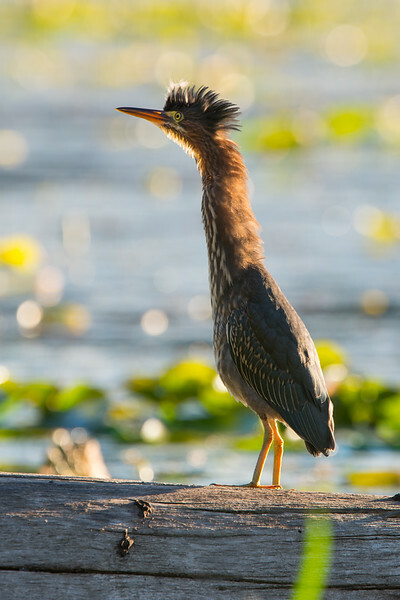 A green heron stretches out its neck and spikes up the feathers on top of its head. While bitterns are typical timid and reclusive, this little guy had no problem with me as I photographed him prowling for fish. Just after he did this display, he flew off just before an owl swooped by. Clearly the bittern was trying to send a tough-guy message to the owl with the mohawk hairdo!